And Then It Rained . . .
And what a long time since it has rained! A whole apartment building full of overjoyed neighbors revel in the raininess. It's the perfect day to read a book on dinosaurs, to stay home and bake bread, or even to go out for a splishy-splashy adventure to a café with your father for a bowl of hot soup. The sun comes out! And what a long time since it has come! A whole apartment building full of overjoyed neighbors celebrate the sunniness. For it's the perfect day to go roller skating, visit the bakery, or put on your shiny cool sunglasses and stroll out for a sunny day adventure, including a ringside seat at an outdoor café with your father for a dish of ice cream. 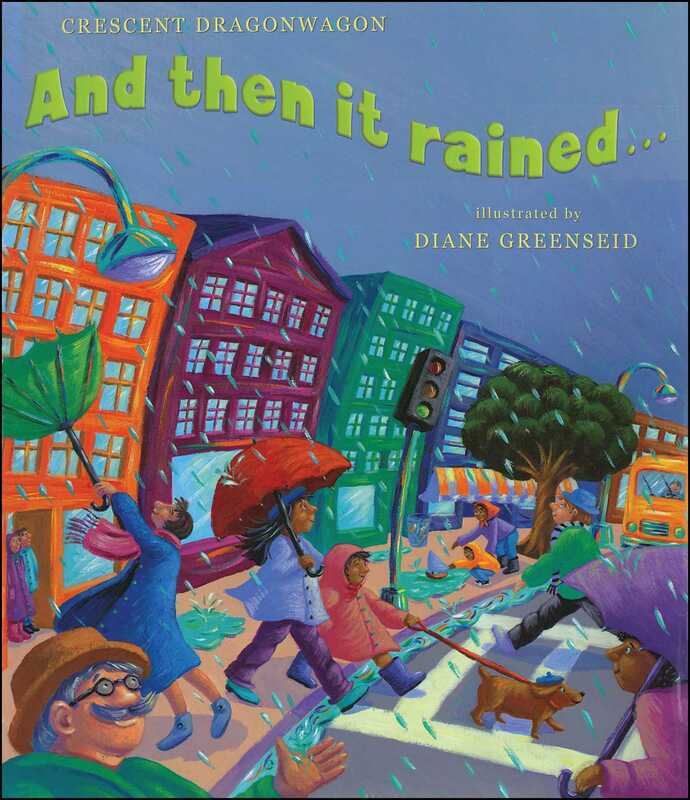 Book Cover Image (jpg): And Then It Rained . . .